Radiofrequency (RF) skin tightening technology meets microneedling skin rejuvenation in the new RF microneedling PiXel8-RF system, now available at Ultra Smooth Skin in Scottsdale and Chandler, Arizona. The microneedling system included in this procedure allows for deeper penetration of RF energy, delivering its skin tightening benefits to three layers of skin: epidermis, dermis, and sub-dermis. Anti-aging and rejuvenation benefits are more dramatic than with RF or microneedling alone. RF Microneedling combines radiofrequency skin tightening technology with microneedling treatments. Micro-needles penetrate the skin to deliver RF energy deep into three dermal layers, stimulating collagen and elastin regeneration. The micro-injuries stimulate collagen production and the body’s natural healing processes, reducing the appearance of scars, fine lines, and uneven skin tone. The RF energy also stimulates collagen while lifting and tightening the skin. Nationally recognized by leaders in aesthetic medicine, Ultra Smooth Skin provides quality care using FDA-cleared procedures and treatments in a relaxing spa environment. Our team of licensed aesthetic providers thrive on giving our patients beautiful results in our three convenient valley locations. Our aesthetic medical experts are experienced using both RF tightening treatments with our Thermage technology as well as Microneedling skin rejuvenation, making RF microneedling treatments a natural next step. Additionally, we offer laser skin resurfacing treatments, anti-aging injectables, and Plasma Pen. We offer two convenient locations in Scottsdale, AZ. Our Scottsdale medical spas are inside of Gainey and DC Ranch Village Clubs and Spas. In addition to RF Microneedling, we also provide Thermage RF Skin Tightening and Microneedling with PRP (platelet-rich plasma). Our Chandler medical spa is located inside of the Ocotillo Village Club and Spa, giving our southern-area patients better access to our amazing team of providers. Your consultation is our “getting to know you” session where we discuss your skincare goals and collect important information about your health and medical history. Using this information, we will decide if RF Microneedling is right for your needs. Note that even if RF Microneedling isn’t right for you, another one of our many nonsurgical anti-aging procedures may be a better fit. After we apply a topical numbing cream, we will use our PiXel8-RF wand to deliver the RF energy deep into the three layers of skin. In addition to the numbing, we will also use the Arctic Chiller; this device cools your skin, making the entire procedure more comfortable. The treatment itself takes 20-30 minutes; with pre-procedure numbing and aftercare, the entire visit will take about 1 hour. PiXel8-RF patients can expect minimal downtime. Facial redness, some tenderness, minor swelling and bruising, and skin shedding are the most common after-effects of RF microneedling. The microneedling portion stimulates skin cell turnover, which causes the skin to peel and flake. This only lasts 1-3 days. The other side-effects will subside during that time as well. Your skin may feel like you have a mild sunburn. If you have questions about this procedure, please contact us to schedule a consultation and speak with our team. It’s important to discuss any procedure with a professional to understand what to expect for your individual needs, as no treatment is right for everyone. In the meantime, you can gain a general understanding of our new PiXel8-RF device below. Why should I choose Ultra Smooth Skin for RF microneedling? What areas can be treated with PiXel8-RF? How much does PiXel8-RF cost? 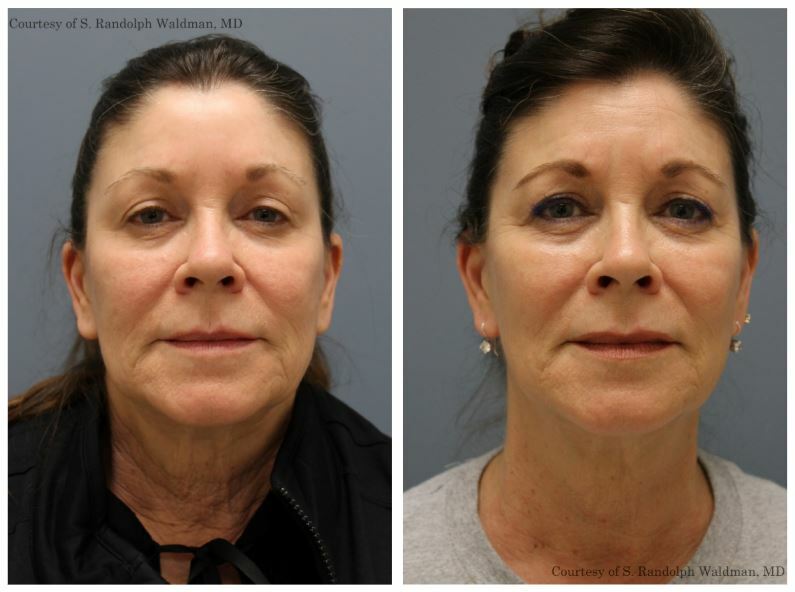 Traditional radiofrequency (RF) treatments, such as Thermage, provide patients with amazing skin tightening results. It’s good for virtually any area on the body. The RF energy is delivered via a handheld wand that is applied topically. The energy penetrates through the top layer of skin without any physical penetration. Traditional microneedling creates micro-injuries to the skin, stimulating the body’s natural healing processes. It jumpstarts the production of collagen and elastin, smoothing skin tone and texture. Skin nourishing ingredients or platelet-rich plasma also more deeply penetrate the skin via microneedling, improving results of those skin care products. Acne scars, fine lines, hyperpigmentation, sun damage, and other imperfections can be treated using a series of microneedling treatments. Facial anti-aging expert and Ultra Smooth Skin founder Lisa Williams, ANP-C not only provides patients with amazing anti-aging results; she also trains other providers. In addition to RF Microneedling, we offer time-tested anti-aging and skin rejuvenating procedures, including Thermage, Fraxel, and injectables like Botox and Juvederm. Our medical spas are award-winning, receiving recognition from international leaders in medical aesthetics, including Allergan, the makers of Botox. We can treat virtually any area on the face and body using RF microneedling treatments. Discuss your goals and expectations with us during your consultation. We will evaluate the treatment area to determine if it will respond well to a PiXel8-RF procedure. RF microneedling is a non-surgical procedure requiring no general anesthesia; therefore, your PiXel8-RF procedure will be performed inside of one of our three convenient medical spa locations in Scottsdale and Chandler, AZ. Combining topical numbing and the cooling technology ensures patient comfort during RF microneedling with PiXel8-RF. Most patients report little or no discomfort during the Pixel8-RF procedure. After your treatment, you may experience some tenderness, similar to what a mild sunburn feels like. Our RF microneedling cost at Ultra Smooth Skin varies depending on the size of the treatment area and other factors. Scroll down to see our current prices and any special offers for this treatment, and contact us for more information on PiXel8-RF microneedling in Scottsdale and Chandler, AZ. April Specials: Bundle & Save! 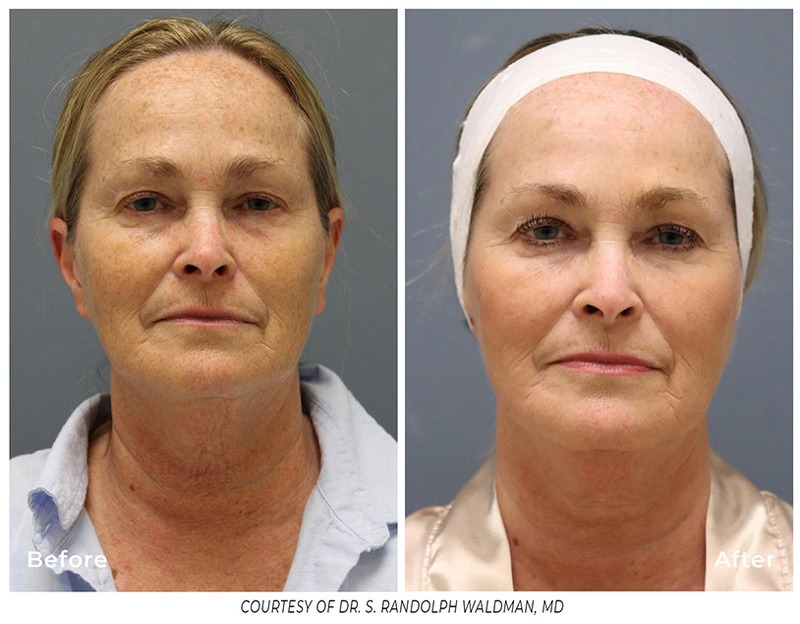 Face & Neck (three treatments) for $1899* — Free Gift with Purchase! Receive SkinMedica Procedure 360 System with package. System includes: Post Procedure Repair Complex, TNS Ceramide Cream, Essential Defense SPF 35, Restorative Ointment & Facial Cleanser ($310 value). *Offers are not available with any other offer or sale item. Not good on full price or sale services already purchased. Special offers are intended and valid for one person only; offers comprising of a quantity of two or more products/syringes/services must be used by one person and can't be split between multiple people. Please note: to receive these specials you must mention that you saw the offer online or received an email. Offers can't be combined with any other discount, such as corporate employee discounts or Village member discounts. Offers valid April 1-30, 2019, except Training Days and/or special events held by specific nurse practitioners or RN's where dates and times are explicitly stated. No exceptions. PiXel8-RF (sometimes also called RadioFrequency MicroNeedling or Fractional RadioFrequency) concentrates its energy into the most important part of the skin that is responsible for the textural irregularities and skin’s firmness and elasticity. By protecting the surface layer of the skin from heat energy, the risk of pigment change in skin of color is eliminated, and the downtime is truly minimized.